Below are some of Dan’s favorite books, with affiliate links that will take you to Amazon.com. 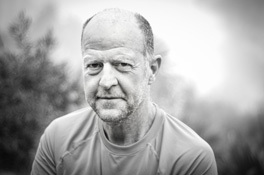 Christopher Lloyd’s timeless writing, strong opinion and forceful personality makes any of his many books written during a lifetime at Great Dixter the required backbone of a gardeners library. If you have not yet read him, his Gardening Year is the perfect entrance to his world. We all miss Christo but he still is quite alive on these pages. If you like both plants and travel, there is no better read than the accounts of Frank Kingdon-Ward during his months and years afield, often under dastardly conditions in search of plants for western gardens. For someone who was deathly afraid of snakes and heights, Kingdon-Ward faced perils- real and imagined- that bring to life the hardships of the golden age of plant exploration. His prose is beautiful and the joy of at last seeing a long sought for plant is palpable. A short, brilliant, sometimes hilarious, sometimes poignant account of Reginald Farrar’s much too short life in search of plants in Tibet, China and Burma. A quirky, petulant, somewhat privileged but passionate and resolute personality comes to life on these pages. A beautifully written account of the history, excitement, discovery and introduction of some of our most beloved garden trees. Spongberg’s writing will never allow you to again look at a dogwood, pine or Hydrangea outside your window with jaded eyes. One of the true classics in American botanical literature. Once essentially a catalogue of one of the best nurseries the world had ever known, this manual, recently updated, will give you the guts of what you want to know about an enormous range of hardy trees, shrubs and vines. This has long been my go to reference book in easy reach on my desk. 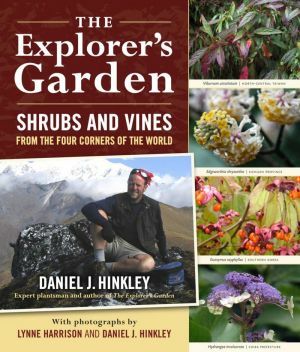 During my first trip to Eastern Nepal in 1995, I brought the first edition of this book along to read in my tent each night, allowing me to enjoy the same precise environs I was in through the sensitive and generous eyes of one of our truly great contemporary plantsmen. You need not be in a tent however to enjoy Roy’s writing; he engages you not just about plants, but of the entirety of the experience; culture, cuisine, wildlife, personalities and history. Perhaps one of the most dogeared, read and reread volumes in my library- both the original and now fully expanded edition. Roy leads you through his decades long exploration of the botanical riches of China, dwelling not just on its botanical treasures but the way of life as he saw it in remote mountainous areas, now changing at warp speed. This will go down as one of the classics on contemporary plant exploration and a must read for anyone interested in the origins of Chinese plants, the process of bringing them back into cultivation and feeling the joy of seeing them in their rightful places. For someone who thinks he knows something about hardy woody plants for temperate gardens, New Trees is a humbling confrontation. 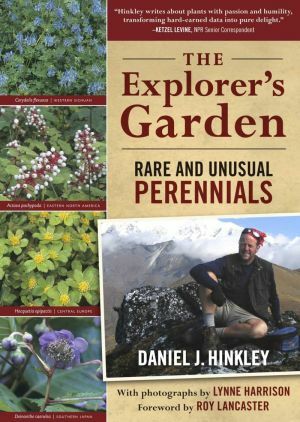 This remarkable, well researched, artfully produced and beefy tome documents the strides forward in the introduction and understanding of the taxonomy and ornamental potential of an enormous array of previously unknown plants during the the past 30 years. John Grimshaw and Ross Bayton are among the brightest stars in contemporary horticulture and their work should move with every serious plantsman from room to room throughout their homes. Tony and I began our perspective nurseries, Heronswood and Plant Delights, on the same year. Over the years, we often compared the experiences and commiserated in the agonies of the small specialty grower. Still, many more will follow us in our tom foolery and Tony’s timeless accounts, advice and insight will pay enormous dividends. A practical, humorous and very real accounting of what it takes to attempt to make a living by tending living plants. As a lifelong vegetable gardener (being a northern Michigan Lutheran, having a vegetable garden was never considered quaint but the norm), I am grateful to Steve Solomon for helping me understand how to grow organic vegetables in the perpetually cool climate of the PNW. Yet, this book has applications well beyond our chilly summers; his formulas for organic fertilizer have kept Robert and I in mountains of onions, garlic, beets and greens year round in our kitchen. A good read and perpetual reference. We will have our first real harvest of asparagus this spring because of Solomon’s encouragement. Click to see on Amazon or find them at your favorite local bookstore.